Berkshire Hathaway is widely regarded as one of the most successful companies in the world. If you look at Warren Buffett’s 49 year track record with Berkshire, it almost looks easy in hindsight. Make no mistake, however, it wasn’t easy and he certainly didn’t do it alone. 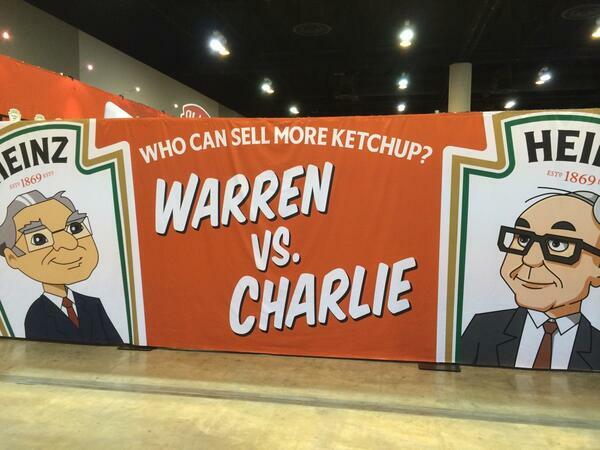 At this year’s annual meeting Buffett and his longtime business partner, Charlie Munger, revealed “the secret” to their success. But it’s not really a secret and, of course, extraordinary success is typically a combination of many things. Here are three underrated factors that carried the bulk of the weight to creating Berkshire’s success. Oddly, I don’t think you’ll find them on any business school curriculum. Buffett is famous for his hands-off management style. He lets the CEOs of the companies run their show; he only asks that they send him the money they can’t use. Good people want to work with him and this is important because most of the people running Berkshire subsidiaries are already wealthy. They don’t have to come to work; they want to come to work. And that is a huge difference. The only time you can get away with a crappy bureaucracy and a culture of distrust is when people have to come to work. Every now and then something happens at a Berkshire company that calls into question his near abdication of responsibility to a subsidiary. “If only he had been paying attention,” the critics chirp, “this wouldn’t have happened.” Those finger-waving critics are idiots. The alternative approaches are worse, not better. There are many positives to the approach Buffett takes. If Buffett closely managed each of his subsidiary CEOs to the point where most bosses manage their subordinates, they’d probably quit. If he sent out memos telling them all to use a new corporate HR system, they’d stop wanting to come to work. In fact Berkshire, a company with over 300,000 employees, has no HR department. If he peppered them with relentless emails from “headquarters” on some new policy, they’d … well how do you feel about all of this stuff? With Berkshire, Buffett wanted to do things his way. He wanted to paint his own canvas. He didn’t want other people telling him to add a little more blue here and take away a little red there. Most people want to run their own show. And the best part? This system gets more out of people than micromanaging them. Sure sometimes things go wrong, but for the most part the outcome is positively skewed. Things go wrong in other corporate cultures, they are not immune. When things go wrong in bureaucratic cultures, however, it’s nearly impossible to hold anyone accountable because no one is really responsible for anything. And it’s hard to hold people accountable when they are not responsible. It’s a seductive illusion to think that we can create a system where people can’t mess up. Buffett’s hands off approach makes it clear who is responsible for what. And this approach, not stock options, creates a real ownership culture. This system also frees up Buffett’s time. He doesn’t have to chase management details, read power-points, etc. He can sit and read and think — that means he does what he does best. And judging by the results, this has worked out well. 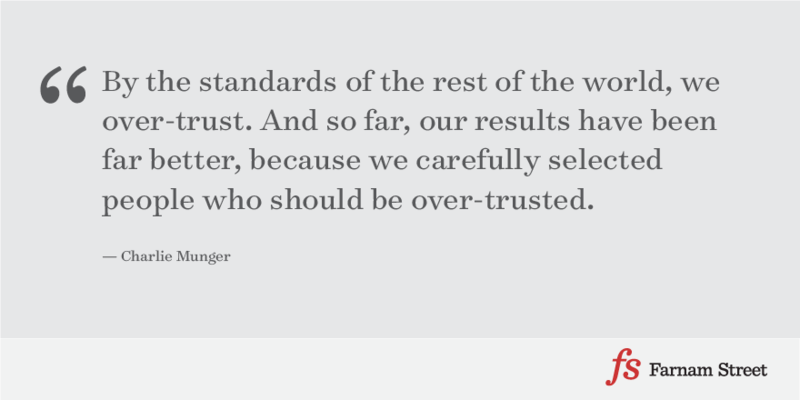 Hiring the right people and trusting them is incredibly underrated and yet nearly impossible to find in large established bureaucratic organizations. Yet as Buffett shows, it’s a much better approach. Trust is incredibly powerful. You know the old adage, when you find yourself in a hole the first thing to do is stop digging. That applies to business as well as life. In the late 1960s Buffett acquired a department store, Hochschild-Kohn, through a company called Diversified Retailing, which later merged with Berkshire. The people running the company were, in Buffett’s words, “first class.” Retailing, however, is a difficult industry, even with a first class management team. They were, in Buffett’s words, “running in quicksand.” Realizing this quickly after the ink dried on the contract, Berkshire “scrambled” out of it, selling Hochschild-Kohn as quickly as they could — 3 years. Business schools don’t generally teach this either. What they teach and reinforce, in so many ways, is that you can be the hero. You can be the exception to the base rate. But in life and business, you don’t need to be the hero. There are no points for difficulty, so as Munger alluded to, smart people will play where competition is weak. You can have the best management team that money can buy and still fail big in retailing — a recent example being JC Penney. Diversified Retailing also owned shares in a better business: Blue Chip Stamps, which provided supermarkets and other retailing outlets trading stamps to give their customers that could be exchanged for merchandise. The contrast between running a good business and a poor one stuck with Munger and Buffett and they decided to pay up for a real quality business. On January 3, 1972 Blue Chip Stamps bought See’s Candies, a West Coast Manufacturer and retailer of boxed-chocolates. See’s is an extraordinary business. “We were barely smart enough to buy it,“ he said. See’s taught them a powerful lesson, the value of strong brand names. 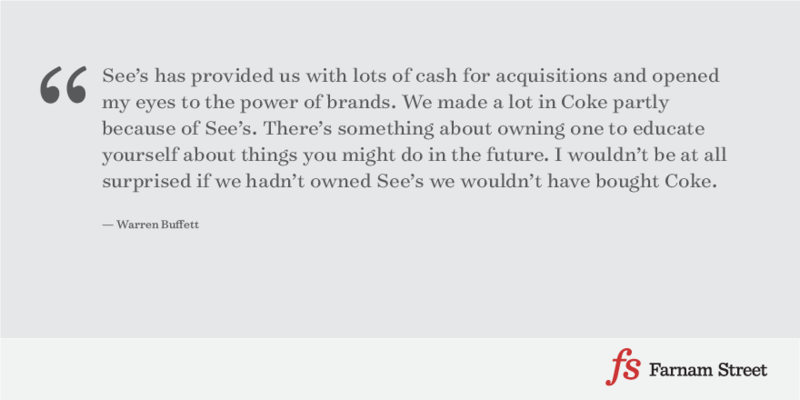 Without See’s they never would have purchased Coke shares in the 80s. And without Coke, Berkshire would be a lot less prosperous today as that investment has been one of their best. “If there’s any secret we have, it’s ignorance removal. And the nice thing is we still have a lot of ignorance left to remove,” Munger said at the 2014 Shareholders meeting. Removing ignorance is about continuously getting smarter. Avoiding stupidity is easier than seeking brilliance. I don’t know why more people don’t copy these three underrated factors to Berkshire’s success. 1. Hire good people and trust them. 2. 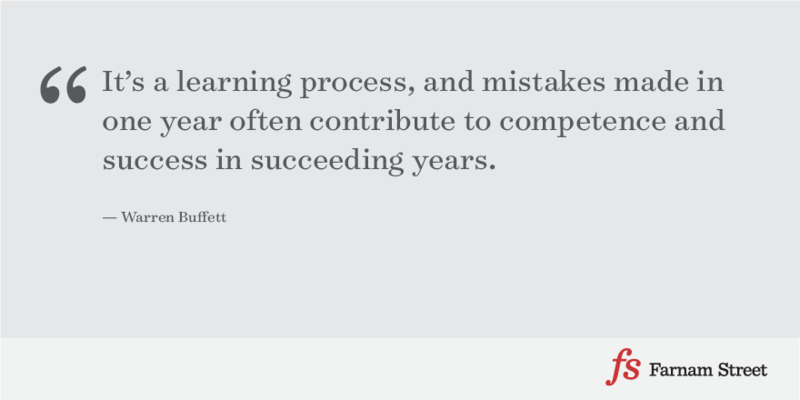 Quickly admit mistakes and scramble out of them. 3. Remove your ignorance by always learning. This formula is simple but not easy.